And boy did the kids love it! Their eyes opened wide when they saw the roadshow, and they enthusiastically went about completing the different stations on the Treasure Map they were each given. 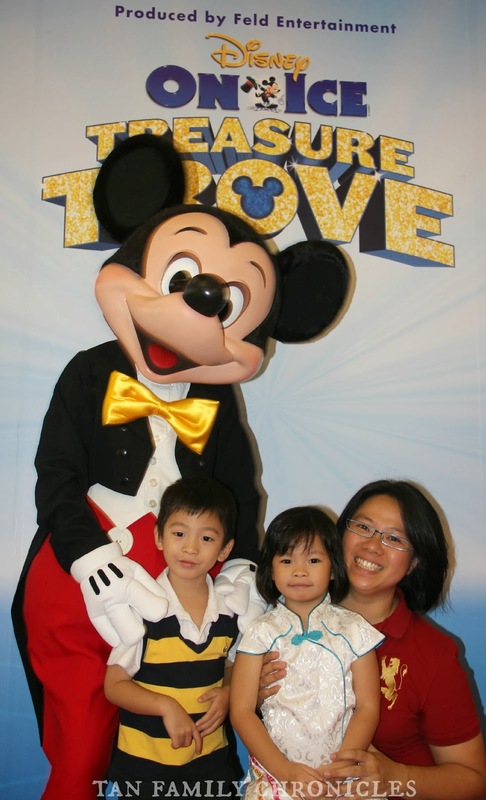 Disney On Ice is coming to town again, and this time it's Treasure Trove they are presenting. 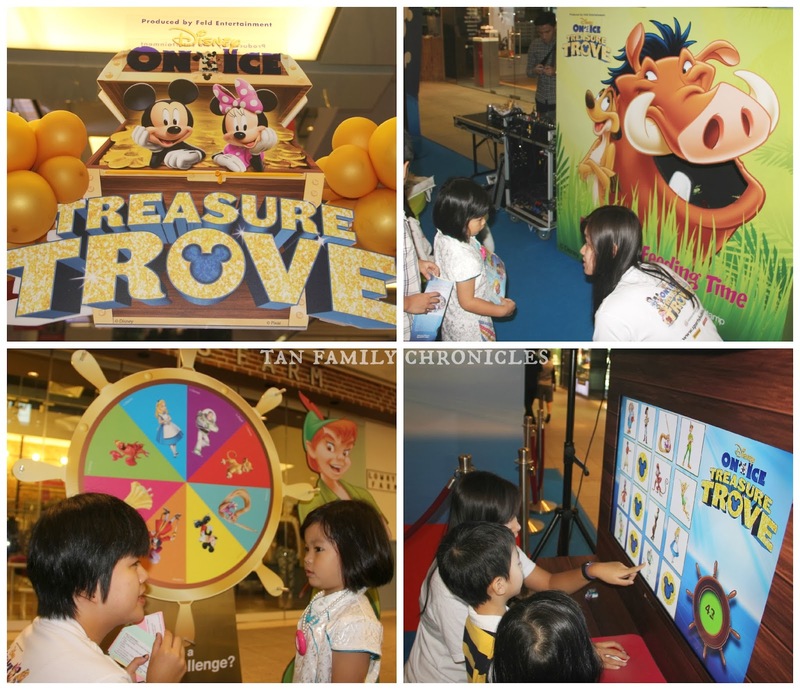 From 19th - 23rd March, this period coincides with the March school holidays in Singapore, and it would be the perfect treat for the kids to go! I've always wanted to see what Disney on Ice is like, and this would be our first time ever, so I'm actually quite excited about this. Isaac too, would be intrigued since he enjoys ice-skating. 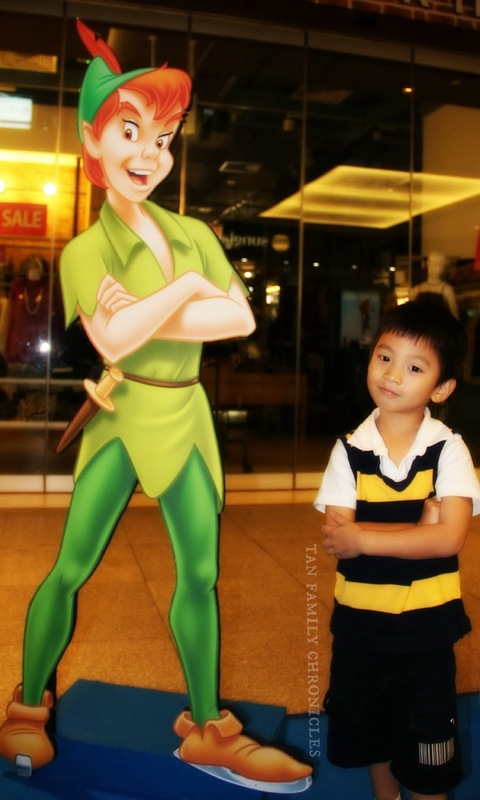 I managed to get Asher to pose with Peter Pan for me, I told him to cross his arms and stand like Peter Pan. I thought it was a pretty good likeness! 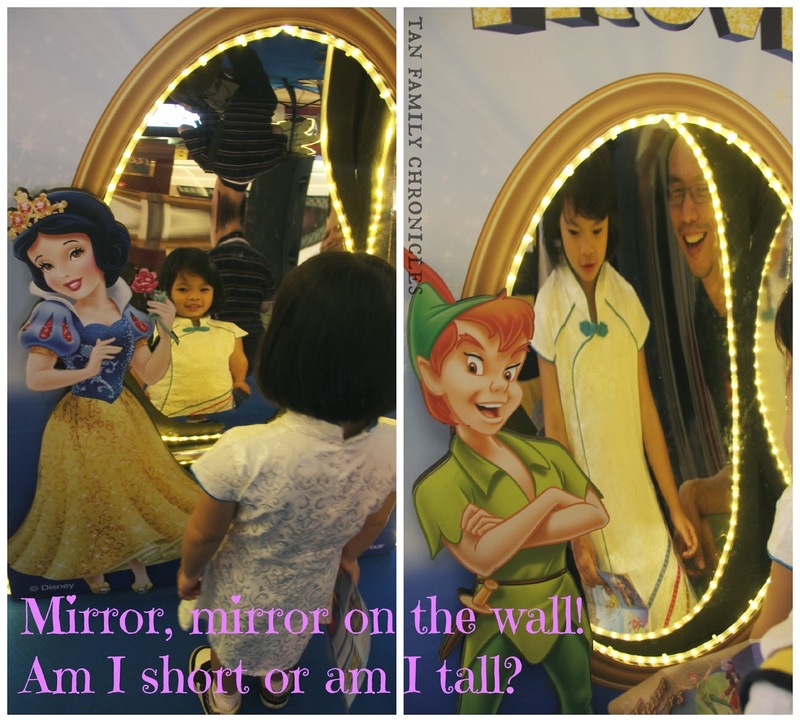 :) The wavy trick mirrors caught Shawna's eye too - different mirrors with different visual effects. After completing each station, the kids were satisfied to have conquered most of the roadshow stations, and were contented to sit down and do some colouring at the tables. The emcee of the event that day even came by and spoke to Shawna and Asher. To my surprise, they were very cool and answered the lady's questions when they were being "interviewed". The lovely picture on the bottom right hand corner of the collage below was one taken by the JEM photographer - got it off the JEM's Facebook Page here. 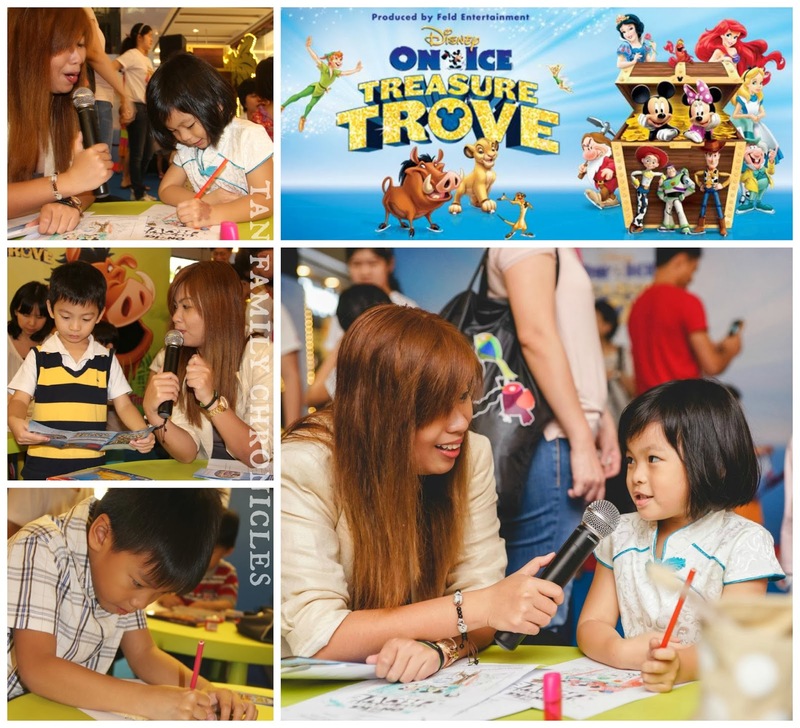 As mentioned, Disney On Ice: Treasure Trove plays in Singapore from 19th - 23rd March 2014. Tickets are available from www.sportshubtix.sg ; the box office at the Singapore Indoor Stadium Admin Office; through calling +65 6333 5000; or at all SingPost Outlets island wide. More details here. Be sure to check out if you qualify for any of the promotions available so as to get you some discount off your tickets. I saw promos by Maybank, Redoxon, PAssion Card and others. Check here and here for more details.